If you are a fan of Harry Potter, this is a must see castle (featured in the first film). If you are a fan of history, this is a must see castle. If you are a fan of castles, this is definitely a must see castle. 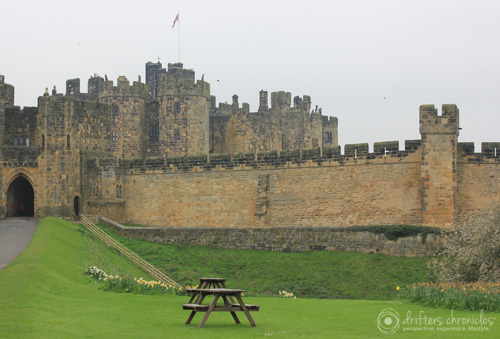 I mean really, need I say more… let me introduce you to the beautiful Alnwick Castle. This castle has been owned by the same family for over 700 years. The family history includes, soldiers, Lords, Ladies, Dukes, Duchesses, Earls and star crossed lovers. It is truly fascinating! The family still lives in the castle during the winter months, and in the summer they open it up to the public. What is so intriguing about the history is actually imagining these people walking the same grounds you stand on while you are visiting the castle. I always find it fun to just think about what was going in this castle 200, 300, 600 years ago. Inside the grounds, look familiar? Many people believe this is the actual Hogwarts School of Witchcraft from the Harry Potter film. 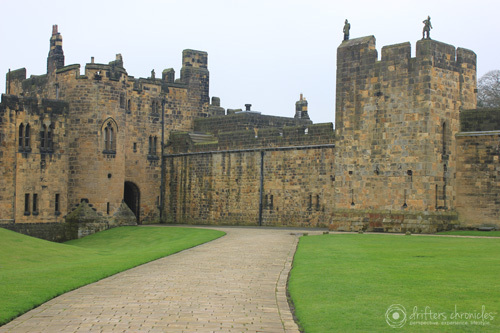 The Alnwick castle grounds are what appear in the Harry Potter film (Harry Potter and the Philosopher’s Stone). I only advise this fact so you are not disappointed when you don’t see the beautiful Hogwarts school which is not a real castle but a model version in the studio. While we were at the castle we also watched the Lost Cellars performance. This was unique. The performers took you through a few rooms in the cellars, it was pitch black and a little freaky if you are easily spooked. It was about a 20 minute performance, and the actors were fabulous. 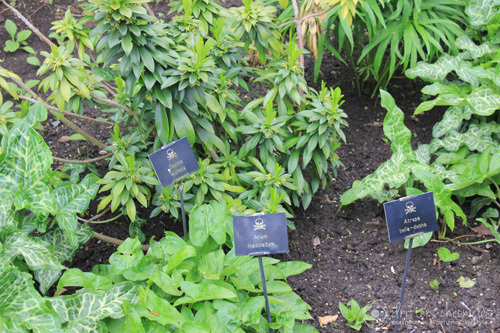 One of the most interesting spots to visit on the castle grounds: The Poison Garden. This is not a joke. 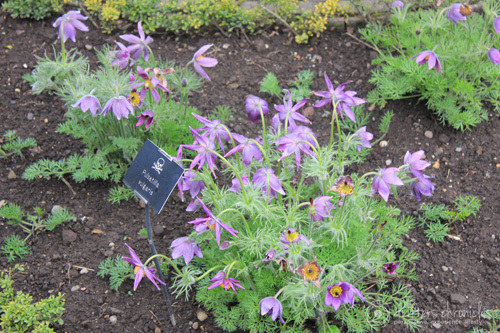 Many of the plants in this garden are deadly, or have severe side effects. 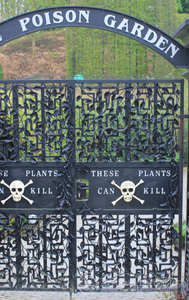 The only fenced plant in the Poison Garden is a marijuana plant, out of all these other deadly plants. 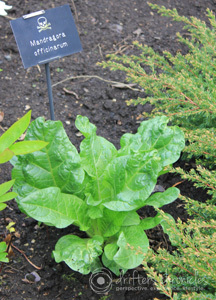 Perhaps you remember this one, Mandrake (Mandragora), from Harry Potter (the part where all the students are wearing ear muffs). 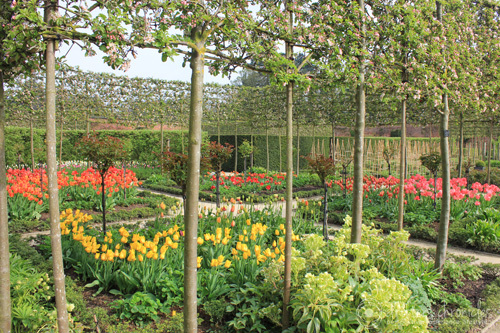 The garden below is part of the castle gardens. 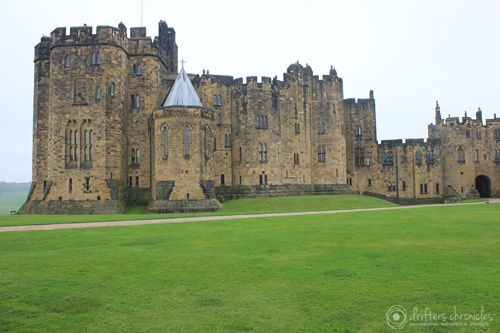 Be prepared to spend a whole entire day at Alnwick Castle. A half day on the castle grounds, the other half in the castle gardens. The area is pristine. The colours are magnificent. The castle is romantic. 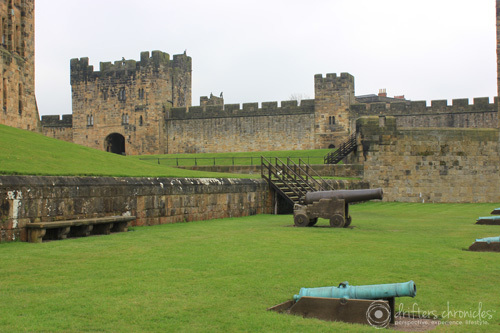 This entry was posted in England, Europe, Experience, Hers, History, Lifestyle, Perspective and tagged Alnwick Castle, Castles, Harry Potter, Northumberland, Travel. Bookmark the permalink. Wow, the family that owns the place should live in it. It would be really cool. While we were walking around we found out that they live there mostly in the winter and open up the castle to visitors during the other months. They have family pictures up still, it was actually pretty cool.